Sometimes it feels like there's no escaping unwanted noise. Because echoes occur when sound bounces off hard surfaces, typical sources of unwanted home sounds are outside, upstairs, and between rooms. Reducing noise in a room requires combining smart furniture placement with the best soundproofing materials to dampen these vibrations. You can’t escape from noise altogether, but this guide from Bassett’s talented Design Consultants provides some of the best home soundproofing methods to reduce unwanted noise. An area rug acts like a noise reduction magnet, muffling an array of unwanted sounds in your home. Because rugs are easier to place and relocate than carpet, they can be a flexible and stylish solution to your soundproofing project. To block more outside noise, cover your windows with floor to ceiling curtains or drapes. Similar to upholstered furniture, thick curtain fabric can be one of the best home soundproofing materials. The designer in you will love how curtains play with light as they change throughout the day and add a finished look they lend to your home décor. Visit a Bassett store near you and talk with a Design Consultant about our Custom Window Program. Placing furniture against an outside or shared wall can help absorb sound too. 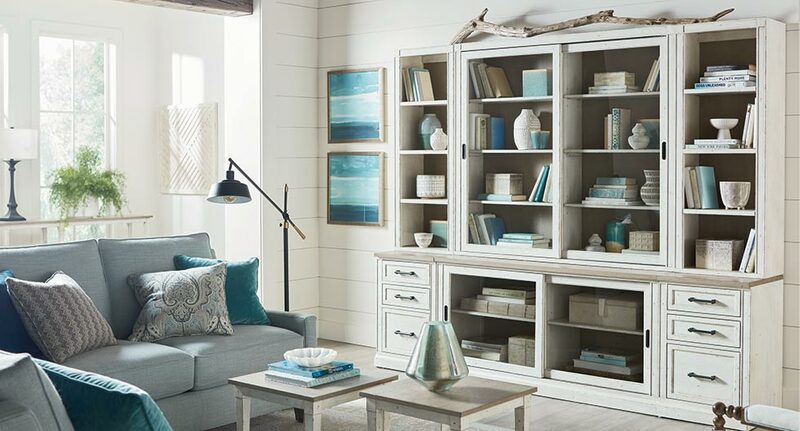 Simply fill a chest or bookcase with treasured books or interesting collectibles to up the oomph on reducing home noise. This is one of the best ways to block outside noise or dampen sound between rooms. In some situations, consider adding acoustic sound panels to walls and doors to lessen the noise between rooms or from outside. This wall treatment includes foam that dampens the vibration on hard surfaces. Designer Tip: Print your favorite photo or a child’s artwork on framed canvas, back it with eggcrate foam, and enjoy wall décor that’s personal and functional . Offering ideas and inspiration are always our pleasure. We hope this home soundproofing guide helps with your noise reduction efforts. Shop online, shop our stores , or schedule a design appointment today.